U.S. State Department Meets With Ugandan Leaders Over "Kill The Gays Bill"
The U.S. State Department envoy met with Ugandan leaders over the weekend to express deep concern over the countries anti-gay measure, the so-called “Kill the Gays” bill which could be headed to the Ugandan parliment as soon as this week. Victoria Nuland, a State Department spokesperson, said during a daily briefing Monday that Assistant Secretary of State for African Affairs Johnnie Carson met with high-profile leaders in Uganda “over the weekend” and raised concerns about the bill, which among other things would punish homosexual acts with life in prison. It’s good to see the State Department on this and this assault on decency should be rejected and severely ostracized by the US government. And if passed every cent of aid should be cut off to Uganda. But lets not forget where this all started and who is responsible for spreading such hate. With America’s own religious rightwing extremist doing “missionary” work in Africa. But where are the voices of America’s REAL Christians condemning the actions in Uganda and the religious right? 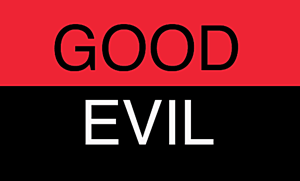 Over and over we hear not all “christians” are evil, and I am sure they are not. But the good ones, the REAL ones need to prove it and speak out against and stand up to the right-wing religious extremist and the heinous work that they do and how they have perverted Christianity. Because until they do this will not stop. American Horror Story – Episode 1 Highlight: Dylan McDermott NAKED!